I can’t believe that it is already May! The past 12 months has flown by for me, and probably for you too. 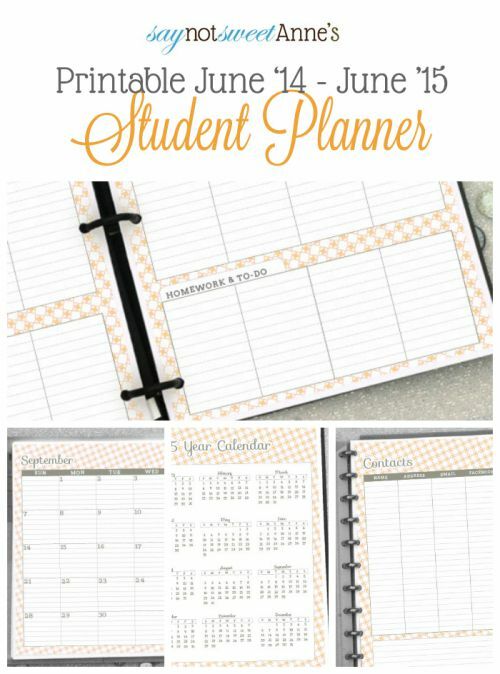 It’s been over a year since I released the 2013 Printable Student planner, and I have been inundated with requests for a 2014 version. Since the launch of the Modular Planner line in October, follower by the Half Size Version in January, I have been constantly working toward better, more refined planner versions. I’m happy to say this version boasts better design, Hopefully my standard of quality will make this year’s student planner your personal favorite! This year’s 2014 Student planner uses four of the most popular background patterns from the Modular Planner. Then, I made the Geometric Grey version use less “swirly” fonts for those who thought the other versions were a touch feminine or cutesy. This was because I did get quite a lot of requests for a planner that a teenage boy would use. June – June dates so not to interrupt the school year. 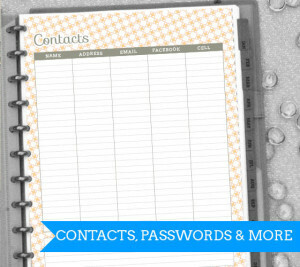 Space to record Contacts, Passwords, and Notes. 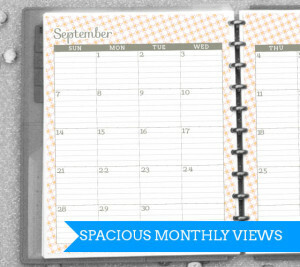 Month and Week views, with plenty of space to write. Weekly space to record Homework. Modular design allows any of the add ons from the Module Line to be added. 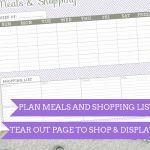 You can add a meal planner, extra curricular planner, blog tracker, notes and more! Easy to print, suitable for many binding options. You can hop over to the Modular Planner post to see my favorite binding methods (I tried a bunch! ), Pens, and more! This planner is one more step toward my ultimate goal of becoming a full-time blogger. My hope is that, because I’ve put so much work into this planner, and because I have been so meticulous in creating options and colors, that you won’t spit your coffee out at the screen when you read this next bit. This planner is not available for free. It is for sale (along with many other printables) in my Store. It is, however, cheap as far as planners go, and currently if you visit the Sweet Anne Designs FB Page there is a coupon code to make it even cheaper. The Coupon Code has expired. Check back for the Early Bird coupon in late October for the 2015 year planner! And, because I really, truly do love my audience, I’m giving away one of the Add ons FOR FREE! 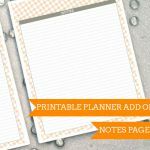 This awesome add-on is PERFECT for the student planner, and because it is separate, you can print as many copies as you need. 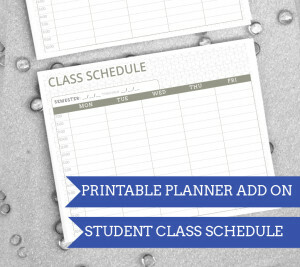 That’s right, every time you drop a class, switch your schedule, or start a new semester – all you have to do is print a new schedule page and add it to the planner! Heck, you could even use them just to plan out your schedule before signing up for classes (which is like the biggest headache ever ammiright?)! That’s it folks! The moment you’ve been waiting for! I hope you are just dying to get your new Student Planner. Get started with the links below!! 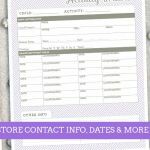 Kayla, I love this planner….it’s so well thought out and it will help any student stay on top of their responsibilities! This is a useful printable! Thanks for sharing! Love this gorgeous planner! 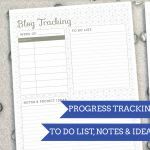 Great for keeping track of everything! Kayla, this planner is amazing is there any way I can get in an editable version. I also love digital editing, its so much fun to create awesome things! The 144 page planners were created in Adobe Indesign. If you’re interested in that sort of thing I suggest you buy the program and try your hand at it! Let me know if you come up with an easier way of inputing the dates )I add each one manually). As far as editing my planner, I’m sure you can understand why I wouldn’t want to give up design rights to something that has taken me so long, or been such a labor of love. No, there is not now and will likely never be an editable version. Sorry! How can I print this please? It looks so cute. Hi, I absolutely love this planner and plan on using it this coming school year, great job! And by the way where did you get the binder you’re using in the photos? All the ones I’ve been looking at are too wide and I can’t seem to find something like that! 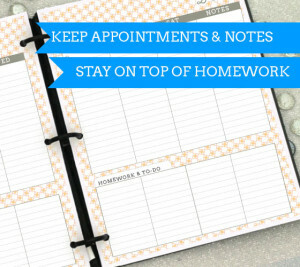 Hi Kayla, I plan to purchase the student planner as it seems to have all that i need for my student. However, I followed the “free student planner download” trail only to find it is indeed not free. Did I miss the free download template? If not, I might suggest you use a different advertising line so as to not suggest “free” when it really is not. With that said, I am happy to pay for your product because it is much better than most other student planners I have looked at. Thank you! Hey Mark, thanks for your feedback. The most popular pin for my planners is from 2013. The 2013 student planner WAS free. However, that download is (obviously) not available any longer as 2013 is well over. So please don’t think I’ve tricked anyone. I cannot control how many times that old image is pinned. I can’t control what people use as the description (removing the 2013 from the text).